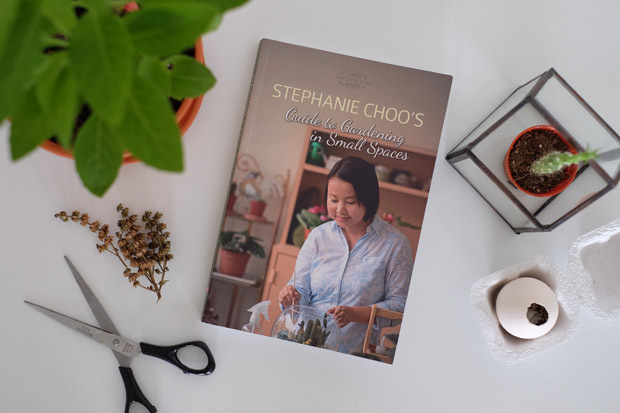 As I’ve just started a small apartment garden at home, I read Guide to Gardening in Small Spaces by Stephanie Choo’s with much delight. 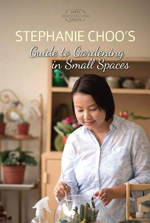 Besides talking about the basics of gardening, the avid gardener who blogs at Steph’s Green Space and My Green Finder, suggested 50 garden plants suitable for small spaces. Its very useful to know what kind of plants are suitable for a small area and those that can thrive in our tropical weather. If you buy herbs in the supermarket which comes in little pots, you can replant them. How? After snipping away some leaves for cooking, wait until the plant shows new growth. When that happens, it means the herb is rooted well and you can transfer it into a pot that is at least one size bigger. 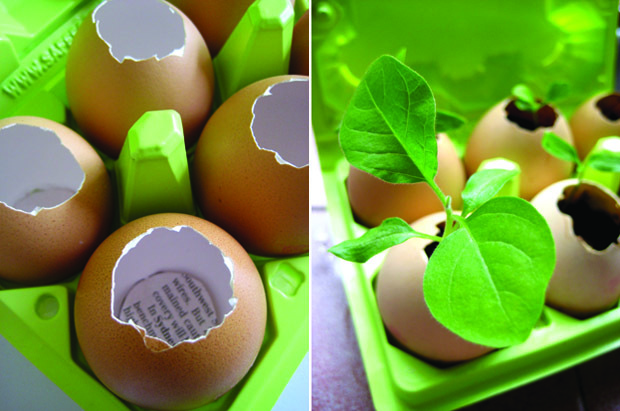 Don’t throw your egg carton or egg shell away! They can be used as seed pots. Coffee grounds – High in nitrogen which helps plants convert sunlight into energy to produce stems and leaves. Acid-loving plats such as rose, hibiscus, and citrus plants love it as it increases acidity of the soil. A tablespoon is enough for a small pot. Tea leaves – Used tea leaves contains tannic acid that roses love. 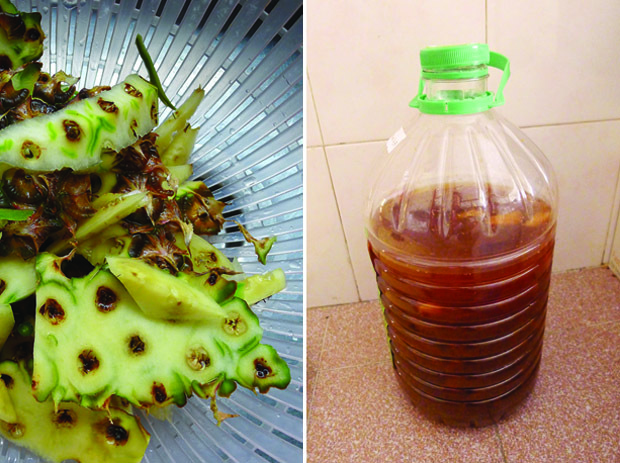 You can reboil tea and water orchid, ferns and acid loving plants with it. 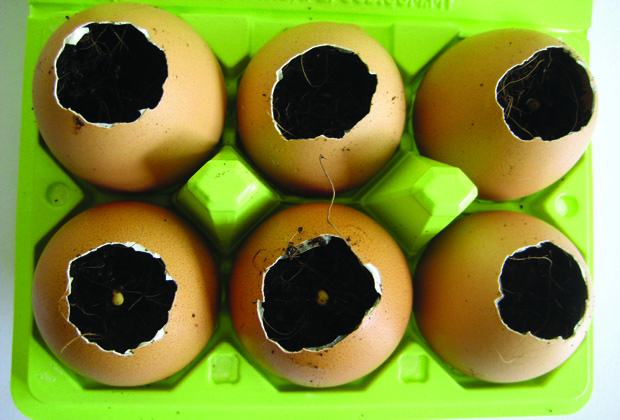 Eggshells – Eggshells releases calcium carbonate as they breakdown. ‘This supplement is good for controlling blossom-end rot disorder in brinjal, squash and tomato’. This easy compost doesn’t attract any pest or smell foul. It’s perfect for a small apartment. How? 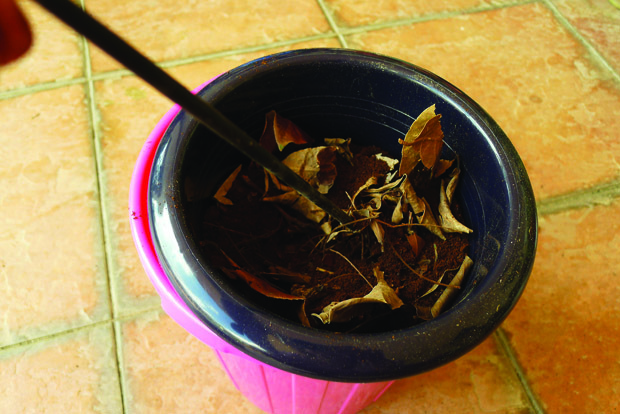 Put crushed dried leaves, coffee grounds and soil in smaller plastic bin with drainage hole. Place it on over the big bin, cover with a towel and secure with a rubber band. 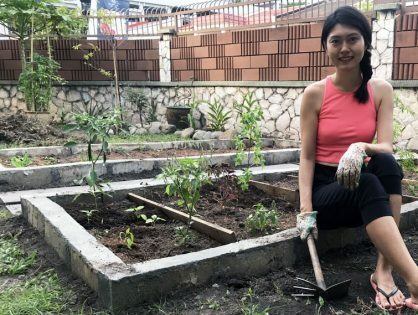 Place the bin in a dry, warm and shaded place for compost to mature. It should be ready in 4 to 6 months where compost would rot and break own by about half the original amount. Garbage enzyme can be diluted to 1000 its volume to used as natural pesticide, soil improver or fertiliser. How? 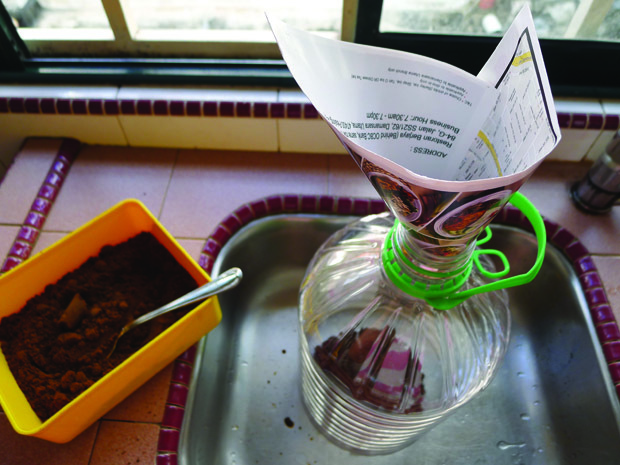 Add 300 g of brown sugar and 3L of water into a empty 5L plastic bottle. Add 900 g of fruit peels into it (1 part sugar, 3 parts fruit peels, 10 parts water). Close cap and open occasionally to allow gases to be released. After 3 months of fermentation, strain garbage enzyme and its ready for use. 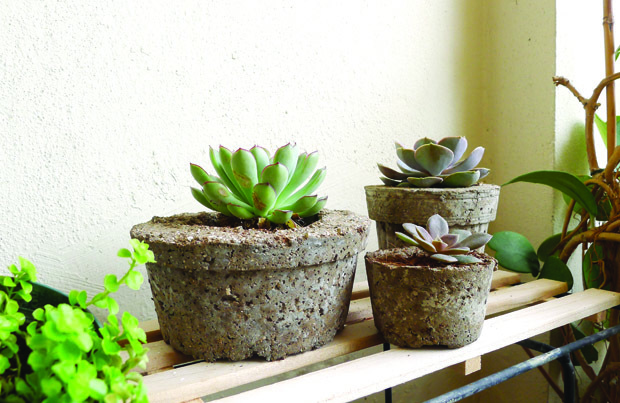 The book also includes other beautiful projects like the ‘hypertufa pots’, a man-made rock pot. Though some projects might look a little daunting, it’s worth a try. “I have no time for gardening?”. That is exactly why you should give it a go. I believe our hectic lifestyle that gives us little time to stop that makes it all the more important to get involves in a calming and grounding activity. 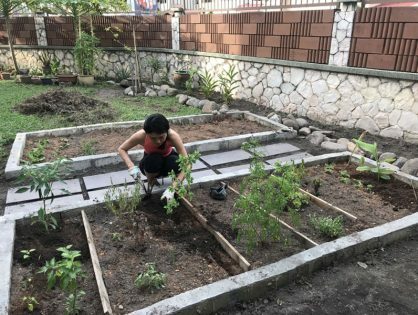 Growing plants with our bare hands allows us to reconnect to nature, and to literally stop to smell the roses. 25 great plants for compact homes that are suited to our tropical climate, including easy-to-grow ones for beginners. How plant form, colour and texture help create that dream oasis. The prerequisites of how to plan a garden and to grow plants indoors. 12 wonderful gardening projects – including constructing a terrarium – with simple, easy-to-follow instructions to add more excitement to the hobby.